Do you have any tutorials or videos I can watch to get going? We sure do! 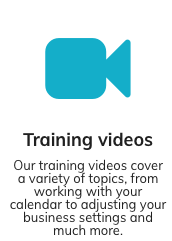 You can now browse our videos for tutorials, tips, and the latest on Schedulicity features. Check it out here!